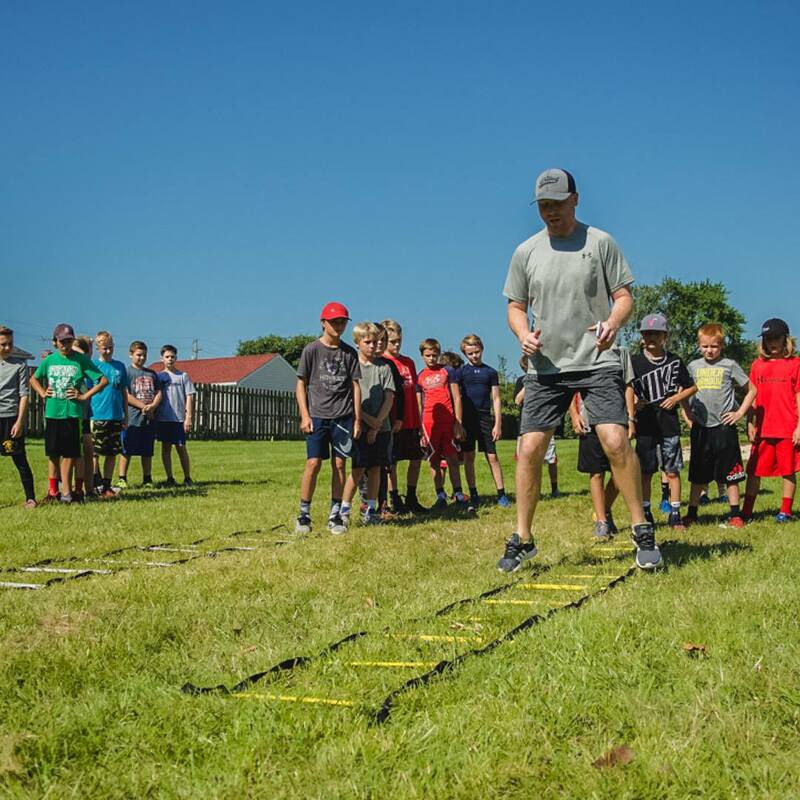 Just because you’re not on the ice as much as you would be in season doesn’t mean you can’t be putting in the work in other parts of your game! For all of our athletes not yet in a gym consistently or working with performance training specialists here’s some simple key factors to work into your home training regimen! Agility cone drills – focused on aggressive, cutting patterns. Join Mom at a spinning class! Countless number of ab and core exercises. 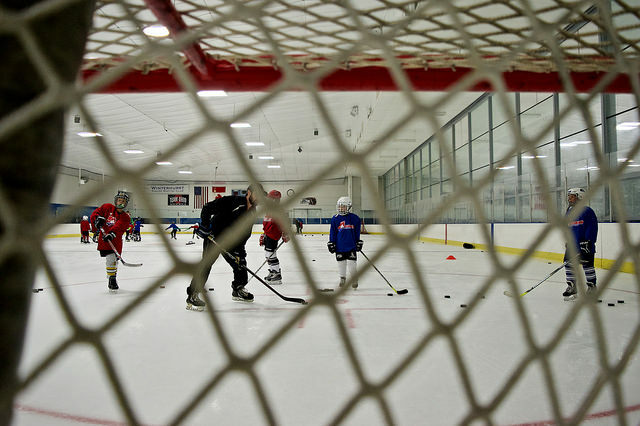 Don’t worry about getting too hung up about “hockey specific” workouts. Focus on improving athleticism, with some added attention on speed and power. The main mission is to build a foundation, so when you’re throwing around weights in the years to come your body is prepared to make some serious gains! Looking for some extra professional guidance? Let us know! We’ve got some awesome industry contacts! Made up of hustle, passion, and perseverance. Grit encompasses a player’s ability to “find a way”. Grit can be physical, just as much as it can be mental. Some will say grit is a character trait ~ you either have it or you don’t… Sure, that can be true for some. However, I would also argue that grit is a skill, and like all skills, it can be learned, and improved upon over time. Regardless of how you choose to view someone’s grit, it’s essential. Not only in hockey, but in life! Always be on the hustle. Never lose the passion. Persevere no matter what! 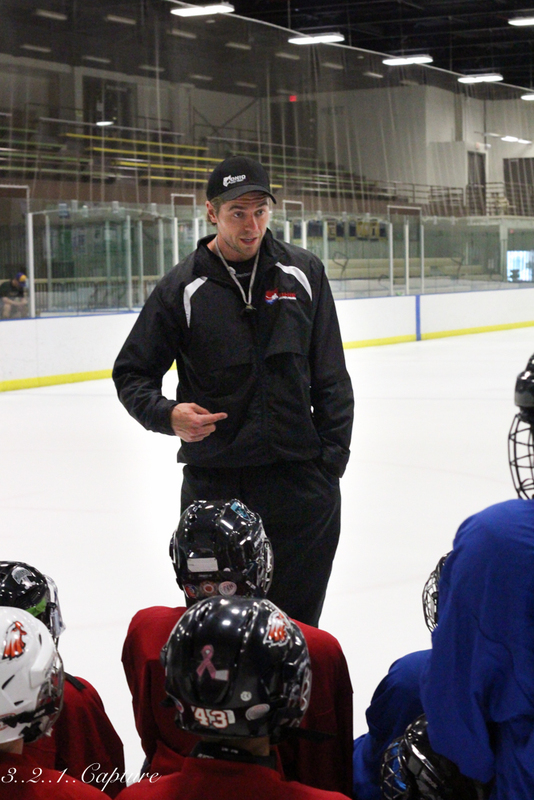 Being a “bubble” player… To the many young players living in the bubble, rest assured, you’re not alone. I spent many of my formidable years in this frustrating space – being good, but often times falling short of the end goal. 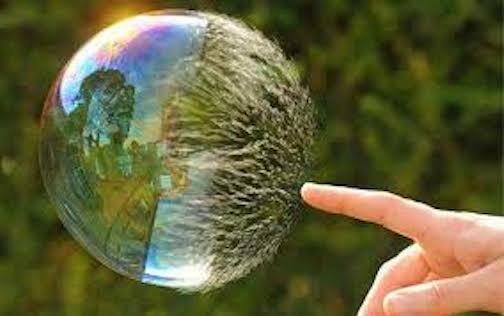 Here’s some key concepts that will help burst that bubble and lead to future successes. No matter what, there can never be any quit! Every NO, gets you that much closer to the YES you’re looking for! Valuable lessons are learned with falling short of your goals! An extension of “Being A Swiss Army Knife”… What role or series of contributions can you make to a specific team that will make you a desired player? Looking back on my career, life in the bubble (where I spent A LOT of time) was the best thing for me – I’d take that over life on “easy street” any day! The adversity shaped my character and put the growth of my mental toughness into hyper drive! 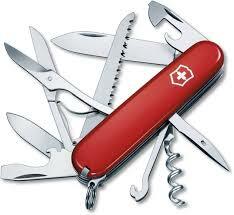 Being a Swiss Army Knife – The ultimate compliment!Simply, this is a player’s ability to carry and excel at many skills. Sure, being very good at specific traits helps catch an early eye… However, the players that stand the test of time in their careers and ultimately “make it”,are the ones who have the capacity to bring many quality traits to the table at the same time that better their team. These (positive) shape shifting, utility players are ready and able to contribute however they’re called upon. Good at a number of skills. Versus only dominating one or two. Not hung up on what role they play on that team. Great teammates. Prioritizing how they can help the team. They can do a little bit of everything! Necessary on every successful roster. Worried about their “role” or “place” on a team. Sure, every team can use a star… Never forget for every star on a team there’s 2-3 Swiss Army knife players that fly under the radar, that are an invaluable piece to that team’s success! 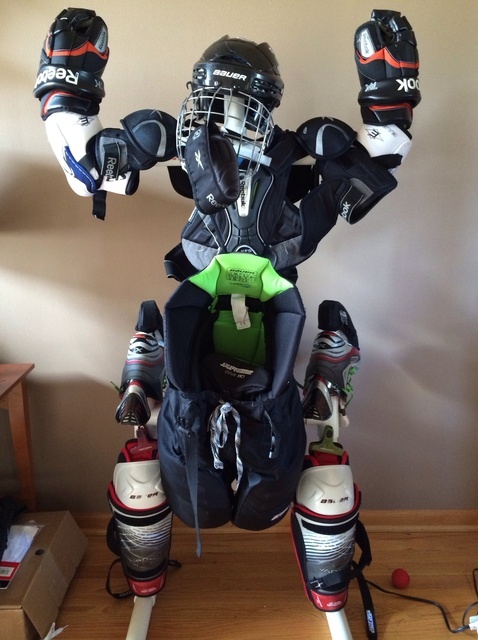 Hockey gear doesn’t have to STINK! Gloves – Elbow pads – Shin pad liners – Shoulder Pads can be washed on a gentle setting using warm water with little to no detergent. NEVER USE THE DRYER, simply hang to air dry. Be sure your athlete is hanging their gear so it fully dries! 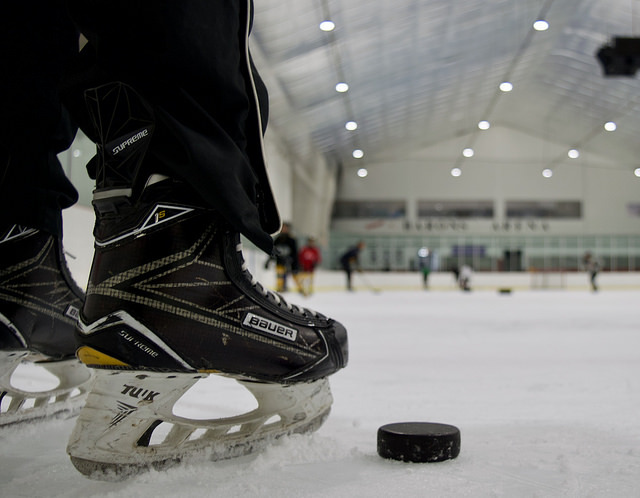 Fun fact: removing the insoles of your skates greatly increases the longevity and durability of your skates, plus greatly aides in killing bacteria! Here’s to a stink-free hockey future! Feeling frustrated is inevitable. 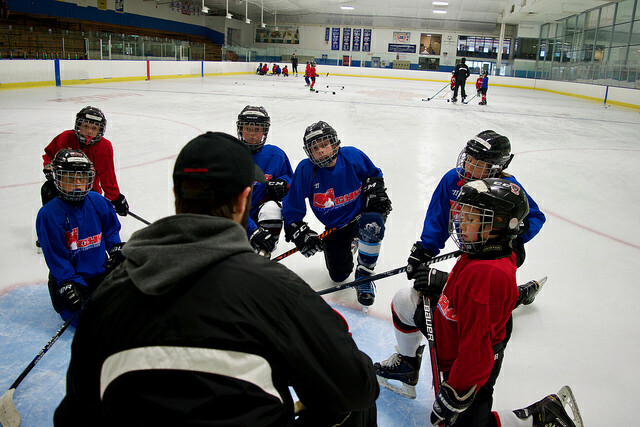 Throughout your hockey journey the root itself may change from season to season, however, dealing with frustrations and setbacks is one of the unique, challenging keys to team success. As hard as this concept is to fully appreciate, remember frustration means you care – which is a great thing! With frustration always comes action! Embrace the frustration, then from that motivated state of mind, think of one immediate step you can take in a positive direction. Working harder, communicating clearer, acting more selfless, etc. We all make the choice to either let challenging times bring us down – OR – reveal what our true character holds! We can’t wait to watch you take your challenging times and make them in to positive turning points for your future!!! Is your athlete growing like a weed! Rest assured you’re not alone! With some prime holiday shopping opportunities right around the corner, here’s some simple, helpful reminders when sizing up replacement equipment. Once you’ve determined your preferred brand/pattern. Prioritize a stick’s flex. When your athlete leans on it, make sure it bends. When cutting it down to size think “chin to nose” in skates as a rough measuring stick! I always think top lip is a good guide. As painful as this big expense can be… Skates are the most important part of the equation. 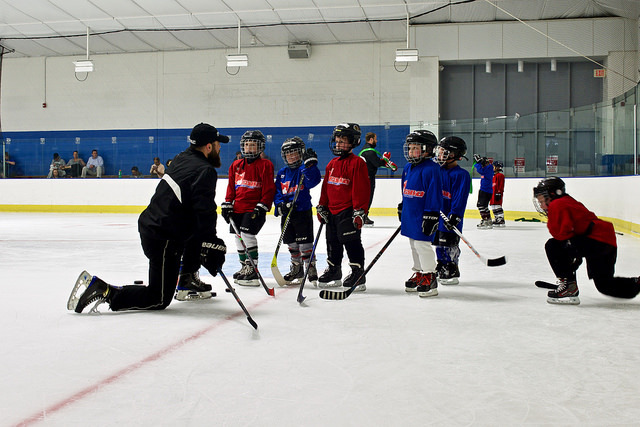 You don’t need to buy top of the line… BUT, whatever skates you do select for your all-star they need to fit appropriately otherwise agility and stride quality are greatly compromised. Your athlete should be able to wiggle their toes in their skate, and very gently feel the inside tip of the toe cap with their big toe. Remove the insole and have them stand up in their socks. You should see about a half inch of space at the end of the insole. Pants – should be right about knee cap to the top of the knee. Shoulder pads – should be form fitting, but avoid going too large as this will greatly hinder stick control and limit upper body movement. Elbow pads – should fully cover the elbow and go to mid upper arm and mid forearm. Often times you’ll find better luck looking for an elbow pad that’s a 2-part construction along the under arm, versus a 3-part construction with a moving cap just on the elbow. Shin pads – Be sure there’s no major space from the bottom of the shin guard to the top cuff of the skate. Best of luck in the equipment search! Remember, especially for the younger athletes out there, saving a few dollars here and there with recycling gently used gear is always a great play!